Prof Manoj Gupta is currently associated with Materials Division of the Mechanical Engineering Department of National University of Singapore. He did his Ph.D. (Materials Science) from University of California, Irvine, USA (1992), and postdoctoral research at University of Alberta, Canada in the same year. He has published over 425 peer reviewed research papers in various international journals and owns two US patents related to development of processing techniques and advanced materials. His current h‐index is 54, RG index is 46 and citations are ~ 10000. He has also co‐authored four books published by John Wiley and Springer. Dr. Huang is Vice Director of Hefei Institute of Intelligent Machines, Chinese Academy of Sciences. His team’s research interests focus on nanomaterials and environmental sensors. He completed his M.Sc and Ph.D. studies at Wuhan University and the University of Science and Technology of China, respectively. Dr. Huang has been admitted a Member of The Royal Society of Chemistry. He was selected as the “Hundred Talents Program of Chinese Academy of Sciences”, and rated as “excellent” in the final review. He has published in excess of 100 papers and articles in refereed journals and recently co-authored the book Electrochemistry (RSC Publishing, UK). Dr. Sigalas obtained his PhD in Physics from the University of Crete, Greece. He was a researcher at Ames Lab, Iowa State University, Iowa, USA. Subsequently he moved to industry, first as permanent staff at Agilent Technologies, Palo Alto, CA, USA. Then, he was a consultant to Hewlett-Packard and Lumileds\Philips, Palo Alto, CA, USA. He is currently an Associate Professor at the Department of Materials Science, University of Patras. He has more than 120 publications that have attracted more than 8000 citations (H-index: 45); he also holds 33 issued US patents. Prof. Dengsong Zhang received his Ph.D. degree from Shanghai University, China, in 2007. At the same year, he joined the Research Center of Nanoscience and Technology at Shanghai University. He then worked as a Research Fellow and a Program Manager at SHU‐ESSILOR (France) Joint R&D Center. He was selected as Shanghai Education Commission's Dawn Scholars and Shanghai Science and Technology Commission's Youth Venus. Currently, he is a Professor of materials chemistry at Shanghai University. He has published more than 100 scientific publications and is a named inventor of 39 issued China patents. Dr. Sahiner obtained his PhD in 2005 from Tulane University, New Orleans, LA and did postdoctoral studies at University of Delaware at Materials Science and Engineering, and at Tulane University School of Medicine, Biochemistry. Dr. Sahiner is the director of Nanoscience and Technology Research and Application Center. He has published more than 170 papers in and inventor of several issued patents. Dr Sahiner has been serving as an editorial board member for few journals. Rouholah Ashiri received PhD degree (2017) from Isfahan University of Technology, Iran. He has published more than 50 ISI (WoS) papers mostly in Q 1 categorized journals. He is member of the editorial board of three scientific journals. Rouholah has been recognized and outstanding reviewer of more than 27 international scientific journals. He has been supervisor/advisor of MSc and PhD students. Rouholah Ashiri is now an Assistant Professor with department of Science and Engineering of Materials, Islamic Azad University (Dezful Branch; Dezful, Iran). Rouhollah Azimirad received the B.S. (2002) in Physics from Sharif University of Technology, Iran, and the M.S. (2004) in Physics (Condensed Matter) from Tehran University, Iran. His M. Sc. thesis title was Fabrication and Characterization of (WO3)x-(Fe2O3)1-x Thin Film Systems. He received the Ph.D. (2008) in Physics from Sharif University of Technology, Iran. His Ph.D. thesis title was Investigation on physical and chemical properties of synthesized W, Mo and Ti oxides nanostructures. He currently is associate professor and works at Malek-Ashtar University of Technology, Iran. He has coauthored more than 70 papers in international journals and reviewed more than 90 papers for different international journals. Giovanni Benelli, Ph.D., is a research entomologist and academic editor at the University of Pisa. His main research interests cover animal behavior, medical entomology, ecotoxicology and green nanosynthesis of pesticides. He has published more than 170 articles on top-ranked international journals. He serves as academic editor/editorial board member for PeerJ, Parasitology Research, BioMed Research International, Current Organic Chemistry, Current Nanomaterials, Environmental Science and Pollution Research and many others. Prof. Gerardo Byk received his B.Sc., M.Sc. and Ph.D.at the Hebrew University of Jerusalem. He was involved in the development of novel anti-cancer peptidomimetics and in the development of novel non-viral gene delivery complexes for gene therapy. He joined the Department of Chemistry of Bar Ilan University/Israel in 1999 as a Senior Lecturer and was promoted to Associate Professor in 2002, where he is currently associated with the Marcus Center of Pharmaceutical Chemistry. Win-Jin Chang received his Ph.D. degree in mechanical engineering from National Cheng Kung University in 1999. He has been a Professor of Mechanical Engineering at Kun Shan University since 2002. Professor Chang received Distinguished Research Award from Kun Shan University many times for outstanding achievement in the field of nanotechnology. In addition, Dr. Chang is the author of 170 peer-reviewed papers and five book chapters. The sum of times cited was more than 2100 (h-index =26) according to the recent analysis of ISI Thomson Reuters. He is also a highly cited researcher in engineering field in the ISI web of science. His current research interests include mathematical modeling of physical problems, molecular dynamic simulation, heat and mass transfer, and mechanics of nanostructures. Dr. Lingxin Chen obtained a doctorate (Ph.D.) in Analytical Chemistry from the Dalian Institute of Chemical Physics, Chinese Academy of Sciences. Currently Dr. Chen is professor at the Yantai Institute of Coastal Zone Research, Chinese Academy of Sciences. He has published more than 200 scientific publications and is a named inventor of 20 issued Chinese patents. Dr. Chen is currently the Editorial Board Member of this journal (Current Nanomaterials), published by Bentham Science Publishers. Dr. Cheng obtained his Ph.D. degree in Chemistry from Zhejiang University. Currently Dr. Cheng is a Full Professor at Beihang University. He has published more than 40 scientific peer-reviewed papers. 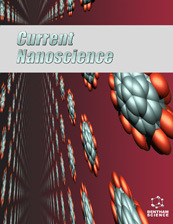 Dr. Cheng is currently the member of Editorial Advisory Board of this journal (Current Nanomaterials), published by Bentham Science Publishers. Mustafa M. Demir received his BS from Chemistry Department of Boğaziçi University, Turkey in 1999. He did his MS and PhD studies in Materials Sciences and Engineering Programme at Sabancı University in 2001 and 2004, respectively. Later he moved to Max Planck Society Polymer Research Institute in Mainz, Germany as post-doc researcher under the supervision of Prof. Gerhard Wegner. Since2007, he has a faculty position at Izmir Institute of Technology. He is now chairman of Department of Materials Science and Engineering of the Institute. Dr. Demir has over 60 publications and >2300 citations in Google Scholar. Dr Xusheng Du is currently a professor in Jinan University, Guangzhou, China. He received his PhD degree in 2004 from the institute of chemistry, Chinese academy of science, followed by being a postdoctoral fellow in Sun Yat-Sen University and then research fellow in the University of Sydney for nearly 10 years before moving to the current position. His research interests include the inorganic nanomaterials, fiber reinforced composites and functional polymer nanocomposites. Dra. D'Accorso got her Ph.D. in Chemistry in the Organic Chemistry Department in FCEN-UBA, Argentine. She is a Titular Professor at the Organic Chemistry Department of the FCEN–UBA. She is a External Advisor of YPF-Technology. Dr. D’Accorso is in charge of the Bio-organic Materials Group. She has published over 117 articles, one book, and nine book chapters. She has leaded numerous research projects. She has 9 national patents, one of the last transferred to YPF-Technology. She has been invited to give lectures and participate in many International Advisory Committees. She was advisor of ten PhD theses in different areas. Dr. Junkuo Gao is a professor at Zhejiang Sci-Tech University, China. He obtained his PhD in Zhejiang University, China in 2010. Then, he worked at Royal Institute of Technology (Sweden) and Nanyang Technological University (Singapore) as a postdoctor. In 2013, he joined the College of Materials and Textiles at Zhejiang Sci-Tech University as distinguished professor of Zhejiang Province. His research interest is metal-organic frameworks based nanomaterials for clean energy applications. He published more than 60 articles in peer-reviewed journal with citations for than 2400 times. Nirmalya Ghosh is a physicist with specialization in nano-optics and biophotonics. He received his PhD from Raja Ramanna Centre for Advanced Technology, Indore, India, where he had held the position of a Scientist. He conducted his postdoctoral research in University of Toronto, Canada. He is currently Associate Professor in the Department of Physical Sciences, Indian Institute of Science Education and Research-Kolkata, India, and heads the Bio-optics and Nano-photonics (BioNap) group. Dr. Ghosh has published more than sixty papers in peer-reviewed international journals, written several invited reviews, book chapters, and text book in the area of optics and photonics. Dr. A. Nirmala Grace is Professor and Director at the Centre for Nanotechnology Research, VIT University, Vellore, India. She received her Ph.D degree in chemistry/Nanotechnology from the University of Madras, India. She worked as a Postdoctoral/Senior Researcher Fellow at the Korea Institute of Energy Research, South Korea on Renewable Energy. Her current research interests is on various niche areas of nanotechnology like Hybrid Nanomaterials, Synthesis, Applications in Energy sector, Renewable Energy, Energy storage, Fuel cells, batteries, Photoelectrocatalysis, H2 production; Environmental, Photocatalysis and adsorbents for organic and a few others. She has guided more than 10 Ph.D scholars and 40 Masters project students. She has completed 2 sponsored research projects from L-RAMP and DST, Govt. of India with 3 ongoing research projects from DST and DRDO, Govt. of India. She has more than 80 International Peer reviewed publications, has authored two book chapters and many conference publications. Dr. Junwei Gu, was born in 1979 and received the B.S., M.S., and Ph.D. degree in Materials Science from Northwestern Polytechnical University. He is currently an Associate Professor and Dean of the Department of Applied Chemistry. His current research focuses on Structure designing, performance control and mechanisms of thermally conductive polymeric composites; Designing, preparation and processing of structure/function integrating for fibres/polymer matrix composite materials; Designing, performance control and mechanisms of electromagnetic shielding polymeric composites; Surface/interface modification, mechanisms and numerical simulation of organic/inorganic hybrid materials. Meng Gu received his Ph.D. degree in materials science in the University of California Davis. His research focused on the growth and atomic scale characterization of nanomaterials for energy applications, including batteries materials, and catalysis, oxide thin films, and metal‐oxide electronics. Dr. Gu is currently working as a core R&D materials scientist in the in the Dow Chemical company. He has 100 peer‐reviewed journal and meeting proceeding publications. His publications have been cited more than 3100 times, and are highlighted by U.S. DOE, PNNL, SLAC national lab, London Center for Nanotechnology, Imperial College London and other social media. Dr. Gu has been awarded the Albert CREWE award from the Microscopy Society of America in 2015 for his outstanding research in the area of microscopy and energy materials. Dr. Myung Gwan Hahm received his Ph.D. in Mechanical and Industrial Engineering from Northeastern University (Boston, US), and then continued his research with Professor Pulickel M. Ajayan as a postdoctoral fellow at Rice University for 2 years. After the postdoc, he worked at Shinshu University (Nagano, Japan) as an Assistant Professor. Then, he moved to Korea Institute of Materials Science (Changwon, Republic of Korea) as a senior research scientist, and he joined Inha University (Incheon, Republic of Korea) as an Assistant Professor in the Department of Materials Science and Engineering. Dr. Younes Hanifehpour received his Ph.D. in Inorganic Chemistry-Nanomaterial from University of Tabriz in 2012. He spent the sabbatical leave at Research Institute of Mechanical Engineering and Technology, Yeungnam University, South Korea, 2011. He worked as postdoctoral researcher at World Class University Nano Research Center, Yeungnam University from 2012 to 2013. He promoted to international foreign professor at school of Mechanical Engineering, Yeungnam University, South Korea. He published more than 100 articles in SCI journals. He serves as editorial board member of American Journal of Nanomaterials, American Journal of Nano Research and Applications, Journal of Progressive Research in Chemistry. Nguyen N. Hieu received his PhD degree in Physics from the Belarusian State University, Belarus. He was a post-doctoral fellow at the North Carolina Central University, USA. Currently, Dr. Hieu is an Associate Professor of Physics at Duy Tan University, Viet Nam. He has published 75 peer-reviewed journal articles. His current research interests include physics of low-dimensional systems and graphene-like nanostructures. Professor Dr. Jin Huang is affiliated with School of Chemistry and Chemical Engineering, Southwest University, China. He received the PhD from Wuhan University, and completed postdoctoral research in Institute of Chemistry, Chinese Academy of Sciences. He has worked in Wuhan University of Technology from 2005 to 2015, and carried out some research in Grenoble Institute of Technology in this period. His research interests focuses on “Soft Matter and Nanocomposites”. Up to now, he has authored and co-authored more than 140 peer-reviewed journal publications, 1 monograph and 7 book chapters, over 40 granted China patents, and many conference papers/presentations. Dr. Mazhar Ul Islam is working as assistant professor in department of chemical engineering, Dhofar University. He completed his PhD from Kyungpook national University, South Korea and remained as Post Doc fellow and later contract professor in same institute for 2 years. He has published more than 60 articles in the field of nanomaterials, biopolymers and nanocomposites in renowned International journals. Professor Anders Jarfors has a MSc, and PhD from the Royal Institute of Technology. He was with the Royal Institute of Technology till 200 when he left for Singapore Institute of Manufacturing Technology (SIMTech). In 2004 he became Business Area Director at the Corrosion and Metals Research Institute (KIMAB) in Stockholm, Sweden, with responsibility for activities in Casting and Solidification, Powder Metallurgy, Computational Thermodynamics, Thermo‐Mechanical Processing, Metallography and Analytical Chemistry. In 2007 he returned to SIMTech. Anders Jarfors was appointed Adjunct Associate Professor with School of Mechanical and Aerospace Engineering at Nanyang Technological University. He is since 2011 Professor in material and Manufacturing – Casting at Jönköping University. Research is mainly focused on experimental work and modeling of the relationships in the processingmicrostructure‐ properties chain. Dr. Jiang is a Professor of the School of Materials Science and Engineering, Jilin University and Director of the Key Laboratory of Automobile Materials, Ministry of Education, China. He received his PhD in Chemistry from University of Stuttgart, Germany in 1990. His current research interests include synthesis of nano-materials as well as their applications in catalysis, energy storage and conversion, kinetics of nano-materials. He has published more than 500 papers in peer-reviewed journals.His publications have been cited more than 14,000 times with H-index=63 (WOS). He was listed in the “Most Cited Chinese Researcher” in the field of materials science by Elsevier Scopus. Dr. Junhua Jiang is a chemical scientist at the Idaho National Laboratory (INL). Prior to joining INL, he held several positions in the USA, including Research Manager at the Energy & Environmental Research Center, Sr. Research Engineer at the University of Illinois, and Sr. R&D Chemist at Molex Inc. He received his BEng degree in electrochemical engineering from Harbin Engineering University and his PhD from Wuhan University. He carried out postdoctoral research at the Chinese Academy of Sciences and Imperial College London. His R&D has involved in several different areas which include but are not limited to electrochemical energy storage. Prof. Hee-Tae Jung received his Ph. D. degree in Macromolecular Science & Engineering from Case Western Reserve University in 1998. He is currently KAIST chair professor in Chemical and Biomolecular Engineering, and director of KAIST institute for nanocentury. He has been working for associate editor of Macromolecular Research, and currently is board member of NPG Asian Materials and Scientific Reports. Prof. Jung led the National Research Laboratory for Organic Opto- Electronic Materials, and the World Class University Program for Nanostructure based Opto- Electronic Devices. His current research interests include advanced materials for climate change, and advanced materials for high performance opto-electronic devices. Valérie Keller is a senior scientist at ICPEES in Strasbourg. She received her Ph.D. degree in Chemistry and Catalysis from the University Louis Pasteur of Strasbourg in 1993. In 1996 she returned to Strasbourg and was appointed as researcher in CNRS, where she is now responsible of the Team “Photocatalysis and Photoconversion”. Her main research activities concern photocatalysis for environmental, energy and health applications, and the synthesis and characterization of nanomaterials for photoconversion purposes. She is the author of over 100 publications in peer-reviewed journals and more than 90 oral communications in international conferences and symposium. Dr. Boris I. Kharisov is currently a Professor and Researcher at the Universidad Autónoma de Nuevo León (UANL). He is the Member of Mexican Academy of Science, National Researchers System (SNI, Level II), Materials Research Society. He is the co-author of nine books, 155 articles, 10 book chapters, and holds four patents. He is also Co-editor of Three invited special issues of international journals. He is the member of the Editorial board of three journals. Dr. Kharisov Specialties are Materials chemistry, coordination and inorganic chemistry, phthalocyanines, ultrasound, nanotechnology, chemical treatment of petroleum, and environmental remediation. Dr. Vinod Kumar is working as an Inspire Faculty at Indian Institute of Technology Delhi, India. He have worked as a Visiting Scientist/Post-doc Fellow at TU USA, UFS South Africa and IUAC, India. He completed his PhD from GKV, Haridwar, India in 2011. He have published ~ 70 papers in international reputed journal with ~22 h-index. He has been got several fellowship and awards for his outstanding carrier in academic and research. Lai’s main research interests are in the areas of chemically modified metal oxide photocatalysts and graphene materials, especially apply in environmental pollution management and solar energy technology. Lai has spent almost 8 years to develop, optimize and simplify the technology lies in the synthesis of nanoparticles, metal oxide nano-architecture and carbon/graphene materials which are of high significance for green energy and environment applications. Prof. Chong Soo Lee received the B.S. (1979) and M.S. (1981) degrees from Seoul National University, Korea, respectively, and the Ph.D. degree from the Polytechnic Institute of New York University in 1985, all in metallurgical engineering. He became an assistant professor in the department of Materials Science and Engineering, Pohang University of Science and Technology (POSTECH), Korea in 1987 and promoted to be a full professor in 1998. He is currently a Professor in the Graduate Institute of Ferrous Technology, POSTECH. He has published more than 250 SCI journals, and is working as an Editorial board member of International Journal of Fatigue (2004-present), and La Metallurgia Italiana (2009-present). Stefano Leporatti received his master degree in physics at the University of Genoa and obtained in 1999 his PhD in solid-state physics at Max Planck Institute of Colloids and Interfaces with Prof. Dr Helmuth Mohwald. From 2001 to 2006, he was a research scientist at the Institute of Medical Physics and Biophysics, Universität Leipzig. He has been CNR senior researcher at the National Nanotechnology Laboratory of CNR-INFM in Lecce, Italy and, he is NanoCarriers and BioMechanics Group Leader. Since 2015 he has been working as CNR Senior Researcher at the newly constituted CNR Institute of Nanotechnology, CNR Nanotec in Lecce. Dr. Meichun Li is currently employed as Research Scientist at the School of School of Renewable Natural Resources, Louisiana State University, United States. In 2012, He received his Ph.D. degree in Engineering from Korea University of Technology and Education (KOREATECH), South Korea. After graduation, he was appointed as lecturer at the Department of Applied Chemical Engineering, KOREATECH until 2014. He has published ~40 articles and book chapters in refereed journals and books. His h-index is 19, i10-index is 25 and total citation number is ~1000. Prof. Chunya Li received his PhD degree in 2005 from College of Chemistry and Molecular Sciences, Wuhan University, Wuhan, China. He has been a postdoctoral fellow in The Hong Kong Polytechnic University from 2009 to 2011. From 2014 to 2015, he has been a visiting scholar in Stanford University. Now he is a professor in College of Chemistry and Materials Science, South-Central University for Nationalities, Wuhan, China. He is interested in nanomaterials, molecularly imprinted technique, electro- and photoelectrochemical sensing and solar cell. Dr. Chunyang Liao is currently a professor at the Research Center for Eco-Environmental Sciences (RCEES), Chinese Academy of Sciences. He received his Ph.D. degree from the RCEES in 2007, followed by postdoctoral training at the Wadsworth Center, New York State Department of Health from 2009- 2013. Thereafter, he became an Assistant Specialist at the University of California, Riverside from 2014-2015. Dr. Liao moved to the current position in June 2015. He is the (co)author of over 80 peer-reviewed journal articles and 2 book chapters. He currently serves as an Editorial Board Member for journals of Environmental Pollution and Current Nanomaterials. Prof. Liu obtained Ph.D. degree in Polymer Chemistry and Physics from Changchun Institute of Applied Chemistry, Chinese Academy of Sciences. He was Humboldt Research Fellow in University of Dortmund, Germany (1998‐2000), Research Associate and Research Scientist at Institute of Materials Research & Engineering (IMRE), Singapore (2000‐2004), and professor in Fudan University (2004‐2015). Currently he is a professor in College of Materials Science and Engineering, Donghua University, China. His research interests include polymer nanocomposites, nanofibers, and energy materials. He has published more than 250 publications with an H‐index of 47. He is currently Associate Editor of Composites Communications published by Elsevier. Dr. Mahmudi obtained his doctorate (Ph.D.) in Metallurgy and Materials from the University of Birmingham, England. He is currently a professor in the University of Tehran, College of Engineering. He has published more than 190 papers in scientific journals and 80 papers in conference proceedings. Dr. Mahmudi is currently a member of the editorial board of the Materials Science and Engineering A, and four other journals. Shun Mao is a Professor of Environmental Engineering at the College of Environmental Science and Engineering, Tongji University. He received MS degrees from Wuhan University of Technology, and PhD degree from the University of Wisconsin–Milwaukee. He worked as a postdoctoral research associate at the University of Wisconsin–Milwaukee and as a project director at the US NSF Industry–University Cooperative Research Center on Water Equipment and Policy. Then, he was awarded the 1,000 Talents Plan of China. His research focuses on nanomaterial-based structures and devices for environmental contamination monitoring and control. Prof. Yang Mo received the B.E. and M.S. degrees in Power Mechanical Engineering from Shanghai Jiaotong University, China, in 1998 and 2001, respectively. He received the Ph.D. degree in Mechanical Engineering from the University of California, Riverside, in 2004. From Jan 2005 to Oct 2005, he was a Postdoctoral Research Associate in Mechanical Engineering of Boston University. Dr. Yang is currently a Professor at Department of Biomedical Engineering of the Hong Kong Polytechnic University. Dr. Yang’s research focuses on nanoprobes based biosensing, bioimaging and therapeutics. He has been in charge of many research projects supported by Hong Kong Research Grant Council General Research Funds, Innovation Technology Fund and National Natural Science Foundation of China, and published more than 80 SCI journal papers. Dr. Mohanta obtained a Ph.D. in Physics from Tezpur University (A Central University), Assam, India. Presently, he is working as an Associate Professor in the Department of Physics, Tezpur University. His research interest includes optoelectronic properties of semiconductor and rare earth oxide nanoscale systems. He also works in the area of nano‐biotechnology, such as, bio‐imaging, bio‐photonics and ion channels. Dr. Mohanta has published over 100 research papers and has supervised 06 doctoral theses till date. Previously, he worked as a DST BOYSCAST fellow at the University of Wisconsin‐Madison during 2007‐ 08, and as an Indo‐US Research fellow at Harvard University during 2012‐13. Professor Nosang Vincent Myung received his B.S. M.S. and Ph. D. Degree in Chemical Engineering from the University of California, Los Angeles in 1994, 1997, and 1998, respectively. Currently, he is the department chair and co-associate director for Winston Chung Global Energy Center. Dr. Myung’s research interests are focused on the synthesis of nanoengineered materials and apply these materials in various advanced applications including spintronics, sensors, electronics, optoelectronics, energy harvesting, and environmental remediation. Dr. Myung’s group objective is to control nanoscale sized features to enhance material properties and device functions beyond those that we currently know. Currently, he published over 190 peer-reviewed journal papers and his h-index is 47 with the total citation of over 7900. Hieu P. T. Nguyen received his PhD degree in Electrical Engineering from McGill University, Canada in 2012. Dr. Nguyen is currently an assistant professor in the Department of Electrical and Computer Engineering, New Jersey Institute of Technology. Dr. Nguyen is the author/coauthor of more than 50 journal articles and ~ 80 conference presentations including several invited talks. He was a recipient of the SPIE scholarship in optics (2012), the outstanding paper award at the 28th North American Molecular Beam Epitaxy conference (2011), and the best student paper award (2nd place) at the IEEE photonics conference (2011). Dr. Surendra Nimesh obtained his MSc degree in Biomedical Science and PhD degree in Nanotechnology from Dr. B.R. Ambedkar Center for Biomedical Research, University of Delhi and CSIR- Institute of Genomics and Integrative Biology, Delhi. He is presently working as UGC Assistant Professor in Department of Biotechnology, at Central University of Rajasthan, India. He has authored several research and review articles in international peer reviewed journal, book chapters and 4 books. He worked as postdoctoral fellow at Ecole Polyetchnique of Montreal, Clinical Research Institute of Montreal, McGill University, and Visiting Fellow at Health Canada, Canada during 2007- 2013. Papi Massimiliano is Associate Professor of Applied Physics at the Medical School of the Catholic University of the Sacred Heart. He obtained the Degree in Physics in 2002 and the Ph.D. in Biophysics in 2006 at the Sapienza University of Rome. Massimiliano Papi’s interests lie at the nexus of physics, biology and biotechnology. He carries out research in the area of biophysics, understanding of the biological interactions of nano-materials. Principal investigator and participant of various National and European research projects. Author of more than 100 articles in ISI journals since 2003 on biophysics, biomechanics, drug delivery and nanomaterials. Dr. Patra obtained his PhD in Chemistry from Indian Institute of Technology Madras, India. He was a postdoctoral Fellow in University of Basel, Switzerland and received Alexander von Humboldt Research Fellow to conduct his research work at Forschungszentrum Juelich, Germany. Afterwards he received JSPS postdoctoral Fellowship and worked in National Institute of Natural Sciences, Okazaki and subsequently in Waseda University, Tokyo, Japan. Currently he is an associate professor at American University of Beirut. He has published more than 85 research journal articles and more than 40 conferences presentation. He has been serving editorial board member for couple of journals. Prof. Haisheng Peng works as a dean in the Department of Pharmaceutics at Harbin Medical University, where he teaches courses of Chinese herbal formulation, Pharmaceutics and pharmacokinetics, and Drug discovery. He finished his first Postdoctoral training in Cardiovascular Pharmacology from Harbin Medical University in 2011 and second Postdoctoral Fellow in the Department of Chemical and Biological Engineering at Iowa State University in 2014. He got his Ph.D. in Neuroscience from Harbin Medical University in 2008. Prof. Peng has published more than 50 peer-reviewed papers in top journals of the Pharmaceutics including Biomaterials, Journal Biomedicine Nanotechnology, and Journal of Controlled. Dr. S.C. Pradhan is an associate professor in aerospace engineering department of Indian Institute of Technology Kharagpur, India. In 1989 Dr Pradhan did his Master in Engineering in Aerospace Engineering from II Sc Bangalore, India and in 1995 did his PhD in Aerospace Engineering from IIT Kanpur India. During 1996‐2004 he was working in Singapore as a postdoctoral fellow NUS Singapore, research engineer at CCM NUS Singapore and senior research engineer Institute of high performance computing (IHPC) ASTAR Singapore. His area of research is composite material, Carbon nanotubes, nonlocal elasticity, fracture mechanics, functionally graded material, finite element method, Optimization. He has published more than 75 international publications in refereed journals and more than 50 articles in international conference proceedings. Professor Seeram Ramakrishna, FREng, FBSE is the Director of Center for Nanofibers & Nanotechnology at the National University of Singapore (NUS). He is a Highly-Cited Researcher in Materials Science (www.highlycited.com). He is among the World’s Most Influential Scientific Minds (Thomson Reuters). He coauthored ~ 1,000 articles with ~60,000 citations and ~112 Hindex. His research outcomes have been translated into products. He is a Fellow of UK Royal Academy of Engineering (FREng); Biomaterials Science and Engineering (FBSE); American Association of the Advancement of Science (AAAS), and American Institute for Medical & Biological Engineering (AIMBE). K.P. Rao received Ph.D. from the Indian Institute of Technology, Madras, and conducted post-doctoral work at universities in Canada before joining the City University of Hong Kong in 1990. He is currently serving as Professor and Associate Head of the department of Mechanical and Biomedical Engineering. His main research work is on thermomechanical processing of a broad range of metals and alloys, including light weight magnesium alloys. He has active collaborations with researchers at the Magnesium Innovation Centre, Helmholtz-Zentrum, Germany, and the National University of Singapore over the past twelve years on the development and forming of new magnesium alloys. Dr Benjaram Mahipal Reddy did his Ph D (1986) at CSIR‐Indian Institute of Chemical Technology, Hyderabad, where he holds a Chief Scientist and Head of Inorganic & Physical Chemistry Division position. He has been a visiting scientist or an award fellow at various institutes and universities in USA, Russia, Germany, France, Australia, Japan, South Korea, and Switzerland. So far he has guided 35 Ph D and 50 M Sc/M Tech/B Tech students for their degrees. He has more than 280 research publications (h‐index 48) in high impact journals and holds 8 patents to his credit. He has been serving as editorial board member for Journal of CO2 Utilization (Elsevier), Applied Petrochemical Research (Springer) and Current Physical Chemistry (Bentham Science), regional editor for Current Catalysis (Bentham Science), and guest editor for Industrial & Engineering Chemistry Research (ACS) and Catalysis Today (Elsevier). Dr. Debesh R. Roy has obtained his Ph.D. degree in the area of ‘Chemical and Materials Physics’ from IIT Kharagpur (2008) followed by Post Doctoral at VCU, Richmond, USA (2009-10). Currently, he is an Assistant Professor of Applied Physics at S. V. National Institute of Technology, Surat, India. Dr. Roy’s publications are cited over 2200 times with h-index of 20 and i10-index of 35. Dr. Roy is a recipient of many prestigious awards including National Scholarship Award (MHRD-GOI) 1993, Elsevier Top 50 Most Cited Article Awards 2006 & 2007, Young Scientist Award (DST-GOI) 2013, Bharat Vikas Award (ISR-India) 2017 etc. Dr. Marco Salerno is a Senior Technologist at Italian Institute of Technology, Italy. He did PhD in Experimental Physics in the year 2002. His fields of expertise are Development of advanced dental nano-composites and Nano patterning of surfaces of biomedical interest by anodization. According to the Publons his record in peer review scores 150 review reports since 2002 (i.e. 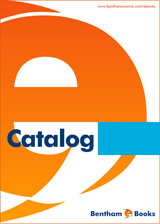 during the past 16 years), among which 28 papers for Nanotechnology (IOP), 13 for Materials (MDPI), 8 for Microscopy research and Technique (Wiley), 7 for Materials Letters (Elsevier), 4 for Physical Review Letters, 4 for Journal of Micromechanics and Micro engineering (IOP), 3 for Review of Scientific Instruments (AIP), and 3 for Applied Surface Science (Elsevier). Saveria Santangelo is Associate Professor of Experimental Physics at the Dept. of Civil, Energy, Environmental and Materials Engineering of Mediterranean Univ. of Reggio Calabria. After the Physics Degree at Messina Univ., she worked for 3 years in the field of Li-ion batteries. In 1988, she got a position of Researcher at Mediterranean Univ. of Reggio Calabria. There, she contributed to set-up and develop an experimental research line focused on carbon-based materials for electronic applications. She is now responsible of a research line on synthesis and analysis of nanostructured materials for applications in energy storage and conversion, catalysis, photo-catalysis and sensing. Biotechnology Research Lab EMC Technology Inc.
Dr. Mehmet Senel is a Senior Researcher at SANKARA Brain and Biotechnology Research Center. His research interests include point of care detection systems, biomaterials, drug delivery, nanotechnology, and regenerative engineering. He received a BSc in Chemistry in 2004 from Fatih University, Turkey and a Ph.D. in Chemistry from the Fatih University in 2012. His doctoral work was focused on the design and development of new amperometric glucose biosensors. He warded as Associate Professor from the Interuniversity Council of Turkey in 2014. Dr. Huaiyu Shao, currently is a fast-track assistant professor in University of Macau. Before this position, he was a postdoctoral researcher in AIST, Japan and Max-Planck-Institut für Kohlenforschung; and an assistant professor in Kyushu University. He got his BS and PhD in Chemistry from Peking University. He has published 48 scientific papers and given 45 oral presentations in international conferences/visits. 25 of them are invited ones. He contributed to session/workshop organization for more than 10 international conferences. He serves as a reviewer for 30 journals and as editorial board member for 4 Journals including Journal of Nanomaterials, Current Nanomaterials, etc. Dr. Mohsen Sheikholeslami works in the Department of Mechanical Engineering , Babol Noshirvani University of technology, Iran. His research interests are CFD, Mesoscopic modeling of fluid, Nonlinear Science, Nanofluid, Magnetohydrodynamic, Ferrohydrodynamic and Electrohydrodynamic. He has written several papers and books in various filed of mechanical engineering. According to the reports of Thomson Reuters (Clarivate analysis), he has been selected as a Web of Science Highly Cited Researcher (Top 0.01%) in 2016 and 2017. He is also the first author of the books " Applications of Nano-fluid for Heat Transfer Enhancement", "Hydro-thermal Analysis in Engineering Using Control Volume Finite Element Method". Dr. Surendra Singh obtained a doctorate (Ph.D.) in Physics from Mumbai University, India. He has published more than 60 scientific publications. His research interest is in investigation and understanding of structure and magnetic properties of interfaces in thin film and heterostructures, especially using x-ray and neutron scattering techniques. Dr Szekely received his MEng in Chemical Engineering from the Technical University of Budapest, Hungary and his PhD in Chemistry under Marie Curie Actions from the Technical University of Dortmund, Germany. He worked as an Early Stage Researcher in the pharmaceutical R&D center of Hovione PharmaScience Ltd in Portugal, and as an IAESTE Fellow at the University of Tokyo, Japan. He was a visiting researcher at Biotage MIP Technologies AB in Sweden. Dr Szekely held a Research Associate position in Imperial College London, UK. He is currently a Lecturer at the School of Chemical Engineering & Analytical Science. Dianping Tang, Full Professor for Analytical Chemistry at the Fuzhou University, received the diploma degree in biochemistry from Sichuan Three Gorges University of China in 1986, and PhD from the Southwest University of China in 2008. His research interests mainly include Clinical/Enviromental immunoassays, Biological and Chemical microsensors, Synthesis and application of advanced functional nanomaterials, Fabrication of microfluidic device. He received the Alexander von Humboldt Fellowship in 2008, and worked Technische Universitat Munchen, Germany, from 2008 to 2009. He was selected amongst the 100 most influential People in the Analytical Scientist in 2013. He is currently a member within the editorial board of “Analytical Chemistry”, “Scientific Reports” and “Microchimica Acta”. Up to now, more than 100 publications under his authorship appeared in reviewed international scientific journals. Dr. Vijay Kumar Thakur is currently a Research Lecturer in Manufacturing at the School of Aerospace, Transport and Manufacturing. He did his post doctorate in Materials Science & Engineering at Iowa State University and his Ph.D. in Polymer Science (2009) at the National Institute of Technology. He has published more than 90 SCI journal research articles in the field of chemical sciences/materials science and holds one United States patent. He has also published 24 books and 33 book chapters on the advanced state‐of‐the‐art of materials science/nanotechnology with numerous publishers. He has been the recipient of several fellowships and awards for his outstanding career in academic and research fields. Suresh Valiyaveettil is an Associate Professor at the National University of Singapore. He received his PhD degree from University of Victoria, BC, Canada. Before joining the National University of Singapore, he was at the Max‐Planck Institute for Polymer Research, Germany and Cornell University, NY, USA. His current research interests are in multifunctional polymers, biomaterials, nanomaterials, nanotoxicology, developing frugal engineering methods for water purification and improving chemical safety in academic institutions. Some of his recent awards include, Outstanding Scientist Award, Faculty of Science, National University of Singapore and Erudite Professorship at School of Chemistry, MG University, Kerala. He is a member of the editorial board of 13 international journals. He has published more than 240 refereed papers in international journals, given 120 invited talks and has an H‐index of 46 with more than 9000 citations. Prof. K. B. R. Varma was Professor and Chairman, The Materials Research Centre (MRC) at the Indian Institute of Science, Bangaluru until his appointment ( 2014 ) as the Vice- Chancellor of Sri Sathya Sai Institute of Higher Learning, Prasanthinilayam, Andhrapradesh, India. He received his Ph.D. degree in Physics from Madras University, Chennai, India in 1981. He was a postdoctoral researcher with the Dept. of Pure and Applied Chemistry, Strathclyde University, Glasgow, United Kingdom. He then joined the Indian Institute of Science. He is an active Researcher in Materials Science and Engineering. His research interests include dielectrics, ferroelectrics, non-linear optics. Gang Wei received his Ph.D from Changchun Institute of Applied Chemistry, Chinese Academy of Sciences, China, in 2007. Following the doctoral studies, he worked as the Alexander-von-Humboldt (2007) and Carl-Zeiss (2009) Postdoctoral Fellow at the Friedrich-Schiller-University of Jena, Germany. Since 2012, he worked as a senior researcher and group leader in Hybrid Materials Interfaces Group at University of Bremen, Germany. His research interests include two-dimensional nanomaterials, supramolecular self-assembly, sensors and biosensors, as well as single molecule force spectroscopy. Up to now, he has published 100+ peer-reviewed papers in the journals like Chem. Soc. Rev., Adv. Funct. Mater., Nanoscale Horizons, Nanoscale. Bing Yan got his Ph.D. from Columbia University in 1990 and did postdoctoral research at University of Cambridge and University of Texas Medical School in Houston from 1990 to 1993. He carried out drug discovery research from 1999 to 2005 and then entered academia. He served as an editorial board member and then Associate Editor for “Journal of Combinatorial Chemistry (now ACS Combinatorial Sciences)” published by ACS from 1999 to 2011. He is now Associate Editor for Elsevier’s new journal “NanoImpact”. He has published 10 books and more than 210 peer-reviewed papers. The group of Prof. Yan concentrates on the environmentally friendly catalysis based on nanomaterials and the research interests span in heterogeneous conversion of biomass and biomass-derived monomers into value-added chemicals and biofuels, electro catalytic energy conversion and storage, catalytic degradation of solid waste and heavy metals. Jianping Yang is currently a professor in the State Key Laboratory for Modification of Chemical Fibers and Polymer Materials, College of Materials Science and Engineering, Donghua University. He obtained the Bachelor (2007) at Huazhong University of Science and Technology. His Master (2010) and PhD degree (2013) were received from Fudan University supervised by Professor Dongyuan Zhao. He then worked as a postdoctoral fellow at Tongji University (2013-2015), visiting research fellow at University of Wollongong (2013-2015) and Monash University (2015-2016). His research interests focus on fabrication of silicon-based functional materials for energy storage and environmental applications. Dr. Jiabao Yi obtained a doctorate (Ph.D.) in Materials Science and Engineering from National University of Singapore. Currently Dr. Yi is a Senior Lecturer in UNSW, Australia. He has published more than 120 scientific publications with citations higher than 4500 times. Dr. Yi is currently also an associate editor of Nanomaterials and Nanotechnology and an associate editor of Frontiers in Physics. Prof. A. Zakery has obtained his PhD in Electrical Engineering (Electronic Materials and Devices) from Edinburgh University in UK in 1991. He has been working in the Physics Department at Shiraz University in Iran since 1991. Prof. Zakery is Co- author of a book on optical nonlinearities of Chalcogenide glasses published by Springer. He also Co-authored more than 100 papers in international refereed journals and conference proceedings. His current research focuses on optical and nonlinear optical properties of nanomaterials and their imaging properties for biomedical applications. Prof. Zakery has supervised 13 PhD and more than 40 M. Sc. students so far. Prof. Ruifeng Zhang is currently a professor of school of materials science and engineering at Beihang University. He obtained Ph.D. in Materials Science from Tsinghua University in 2005 with honors of “Excellent PhD Graduate” and “Excellent PhD Thesis” of the university, and received several fellowships/or awards such as Alexander von Humboldt Fellowship (Germany), Los Alamos Director’s Postdoctoral Fellowship (USA), and the prestigious “National Thousand Young Talents Program” (China). He has published over 100 papers in international journals such as PNAS, PRL, Adv. Mater., Acta Mater., Nano Lett., PRB, APL with >2000 citations (h-index=30), and >30 international presentations & talks. Prof. E. Feddi is working as a full Professor in Department of Physics, university Mohammed 5, Rabat, Morocco. His research interests include theoretical studies of optoelectronic properties of semiconductors nanomaterials: quantum dots, core/shell nanostructures and 2D materials. In addition, he develops some codes for the optical responses related to excitons and excitonic complexes. He is a permanent member of Icpa2mc at Lorraine University (France). He has acted as reviewer for many journals published by Elsevier, IOP, Springer, World Scientific. His current RG index is 34.97 with 404 citations. Dr. Praveen Kumar Gaur, is currently an Associate professor at Department of Pharmaceutics, I.T.S. College of Pharmacy, Ghaziabad. He earned his M. Pharm (Pharmaceutics) from BRNCP, RGPV, Bhopal, India on topic “Aerosolized liposomes” and Ph.D. (Pharmaceutics) from Faculty of Pharmaceutical Sciences, J. N. University, Jodhpur, India on topic, “Transdermal delivery”. His research work has been published more than 55 international journals of high repute, and 1 books. He is also editorial board member and reviewer of various internationally reputed journals in the field of Nanotechnology, Transdermal and Novel drug delivery. His primary research interests are nanoparticles based drug delivery system and currently he is developing nanostructured lipid carrier. Mahnaz Ghiasi is a post-doctoral researcher in the Inorganic chemistry and catalysis group of Utrecht University. She has obtained her PhD from Damghan University in 2015. Her thesis was about synthesis and characterization of novel nanomaterial (photo)catalysts. Her current interest is studying the electronic structural changes of catalysts under reaction condition by using the strong tool of X-ray spectroscopy. Dr. P. Mallick is working as an Assistant Professor in PG Department of Physics, North Orissa University, Baripada, India. His research interests include synthesis and study of nanoparticle, thin films and bulk materials and evolution of materials under ion irradiation. He has acted as reviewer for many journals published by Elsevier, AIP, IOP, Springer, RSC, World Scientific etc. He is the member of Editorial Board for the journals: Nanosci. Nanotechnol., Int. J. Phys. Res., Universal J. Phys. Appl., Int. J. Solid State Mater., Nanoscience & Technology and Characterization and Application of Nanomaterials. He has also received Certificate of Excellence in Reviewing Award-2013 from the Journal Solid State Sciences, Elsevier and Orissa Physical Society Young Scientist Award for the year 2017. Professor Walid Tawfik is the group leader in the field of laser spectroscopy and ultrafast lasers at the National Institute of Laser (NILES), at Cairo University and visiting professor at Georgia institute of technology, USA. He received the B.SC, Master and Ph.D degrees in physics, laser physics, and laser spectroscopy in 1992, 1996, 2000, respectively, from Cairo University, Egypt. He has published 46 papers. He is a senior member of different international professional societies like IEEE, OSA, APS, and SPIE.